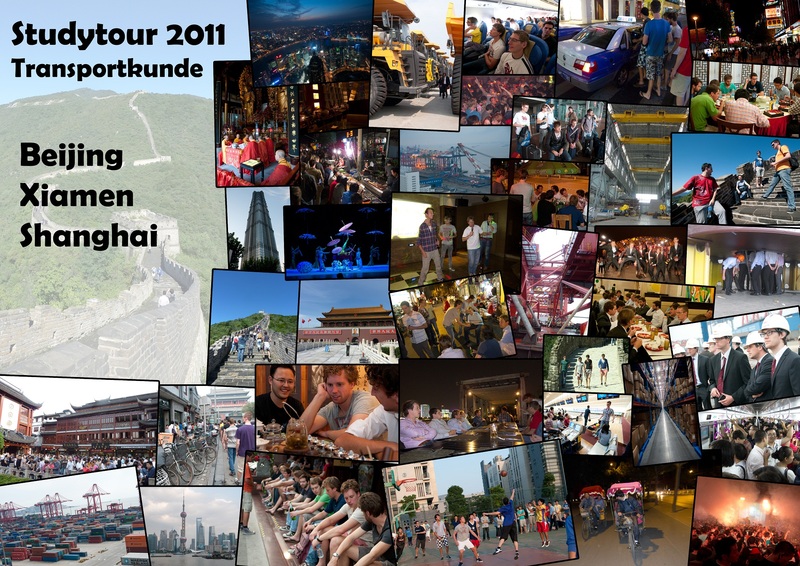 The study tour committee in cooperation with Dispuut Transportkunde organized the 2011 study tour to China. The land of the dragon, forbidden city, great wall and the Tiananmen square. But it’s also the country with the largest population, largest seaports, cheap manpower and the fastest growing economy in the world. 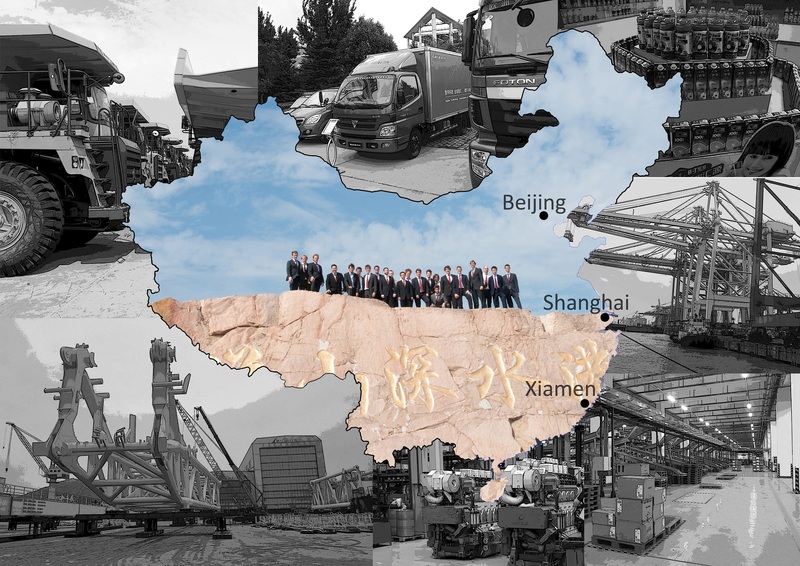 On the 13th of September a big group of 20 students of the master Transport Engineering & Logistics (TEL) and three staff members went to China. We think we can speak for all of us when saying that we experienced an unforgettable and fantastic study tour! After almost six months of hard work and preparation the moment of departure was there, and on the 13th of September 20 students left by plane to Beijing, with a transfer at Hong Kong. In our hotel in Beijing we met the TU staff members Prof. Lodewijks, Yusong Pang and Rudy Negenborn, so our group was completed. Thanks to the help of own Chinese staff member Yusong Pang we got in contact with local students, both in Beijing and Shanghai. These students and also Yusong (Beijing: Ryan, Lily, Hannie / Shanghai: Zach, Juno, Angela) made a great job by guiding us through the cities and translating when necessary (and a lot of translating was needed in China!). In Beijing we started with a visit to the Dutch embassy. The next days we visited two Chinese companies; HuiYuan Juice and Foton Motors. It was interesting to see how Chinese welcomed us and how they work. In Beijing we visited the University of Science and Technology, and it gave us a proper insight in how Chinese students live and study. We also experienced the Chinese culture a lot. Crossing the city by rickshaw and a visit to the Hutongs gave us a very good image of the real city. Of course one of the highlights was the visit of the Great Wall of China. After five days in Beijing we left and took the plane to Xiamen, where we would stay for only two days to visit the Dutch company Huisman. The visit was very nice and interesting, and we were warmly welcomed by the Dutch gentlemen working there. After two days we took the plane to Shanghai, the last city of our trip. In Shanghai we visited some interesting companies like ZPMC, Nike, and Wartsila. At ZPMC we saw the huge working power of the Chinese. We had never seen a production facility this big before and we think we will never see one again either. In Shanghai we also visited the Shanghai Maritime University . We were guided over the brand-new campus and through the buildings by our Chinese fellow students, where we were treated with a very nice dinner in the end. Before going back to the Netherlands we went to the airport with the Maglev going 431 km/h!. Looking back, all things went according to plan and we are very grateful for this! Therefore, we would like to thank all people who made this trip possible; The staff, our sponsors, the visited companies, the travel agent Roland Spoormaker (Xi’an Golden Bridge Travel Service), the people at the universities we visited and the local students who joined us in Beijing and Shanghai. And of course all students who joined the tour!